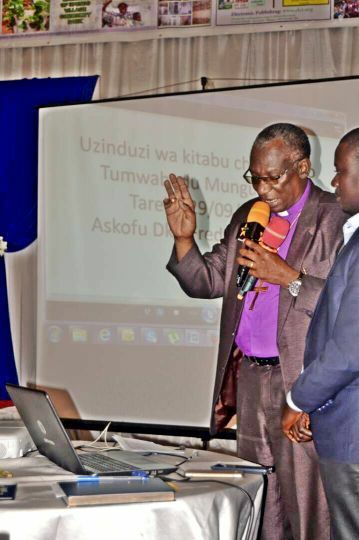 The Presiding Bishop of Evangelical Lutheran Church in Tanzania (ELCT), Bishop Dr Fredrick Onael Shoo, on Friday 29 September, 2017 launched a digital copy of the church hymnal: "Tumwabudu Mungu Wetu". 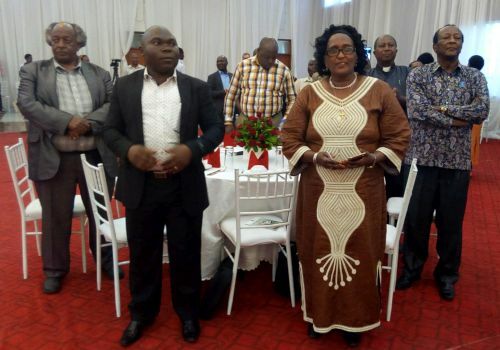 The ceremony to launch the application televised live on Star TV, took place during an ELCT Executive Council meeting held in Dar es Salaam September 28 -29, 2017. Bishop Dr Fredrick Shoo launching the hymnal application. 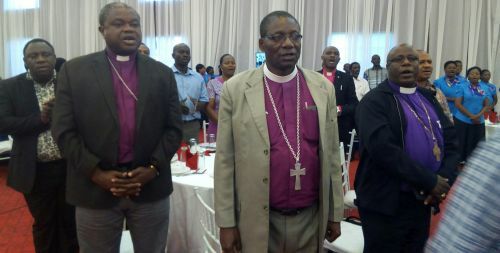 during the ceremony held in Dar es Salaam.